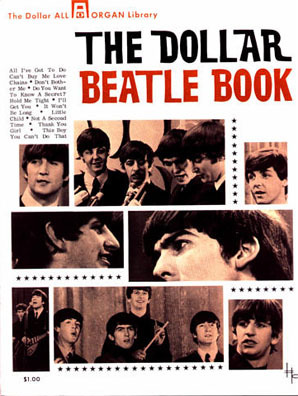 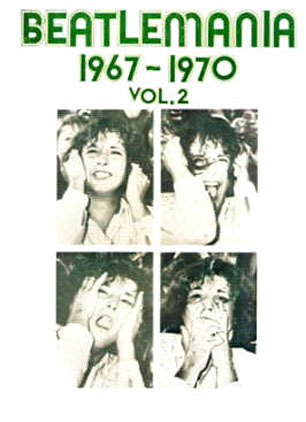 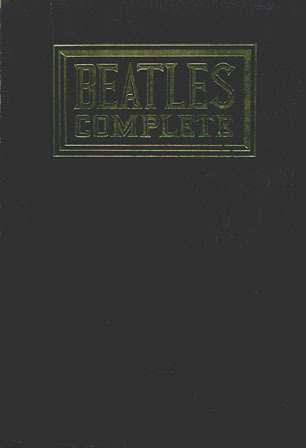 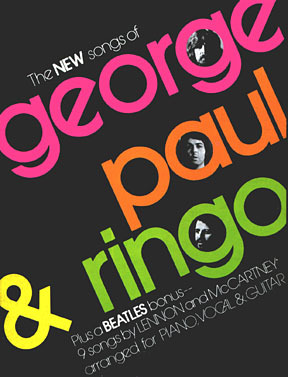 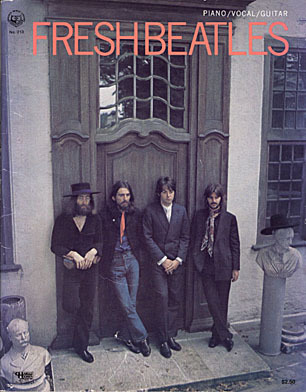 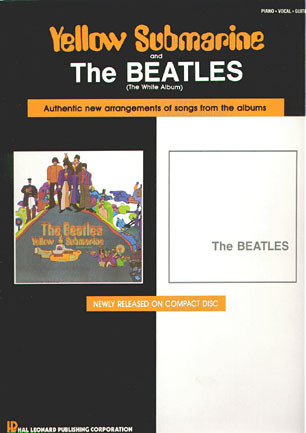 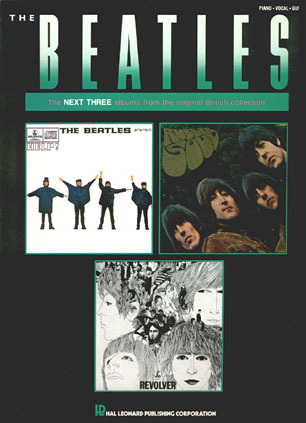 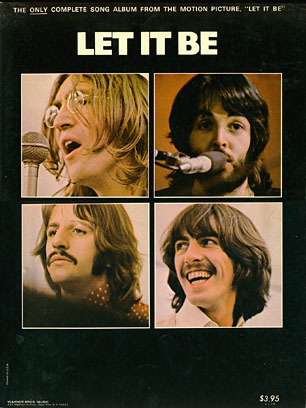 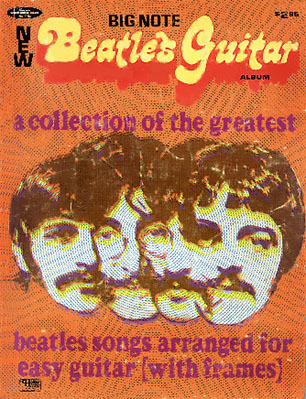 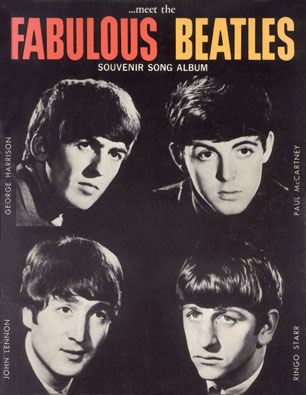 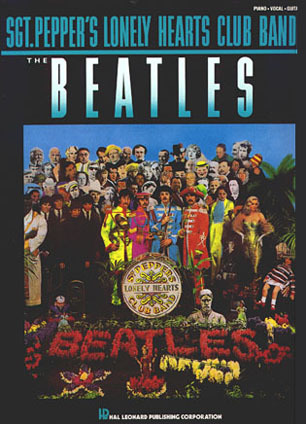 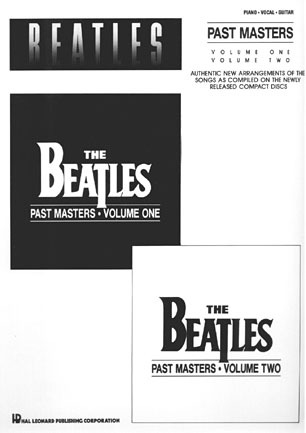 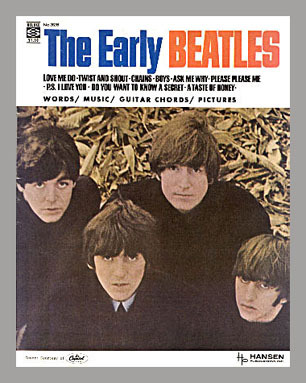 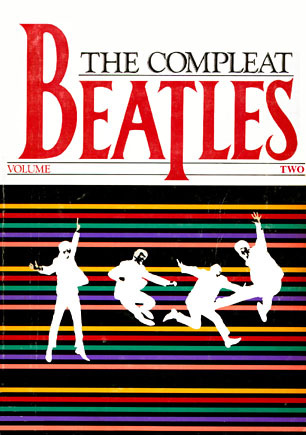 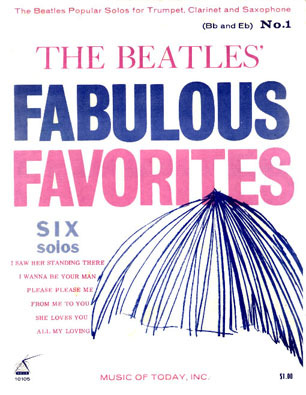 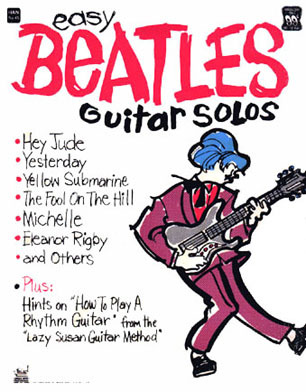 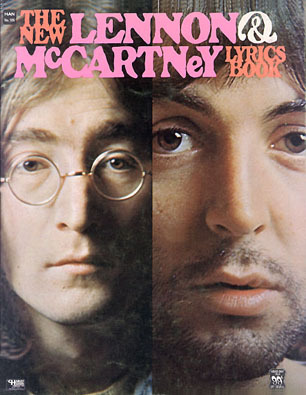 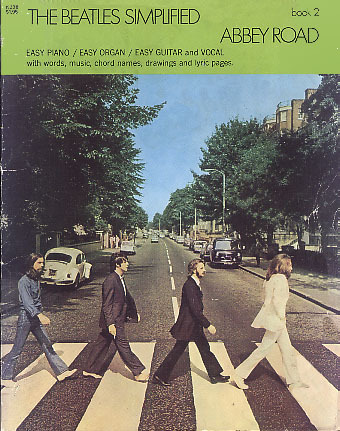 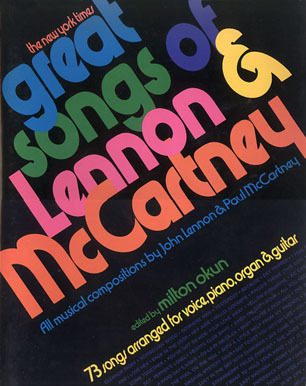 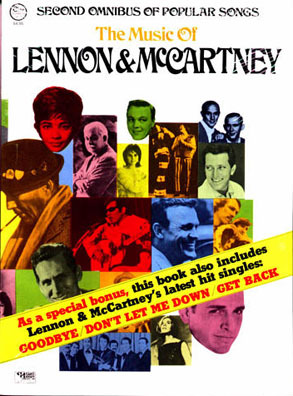 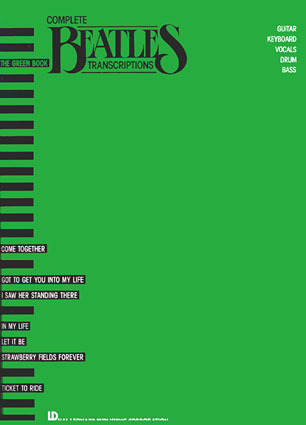 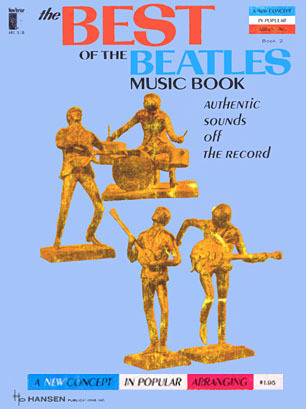 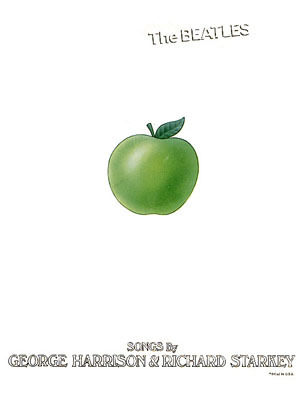 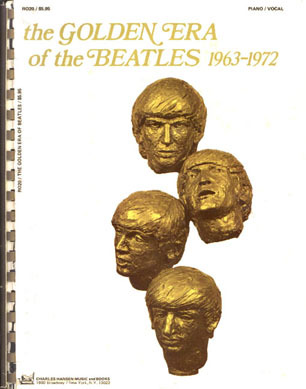 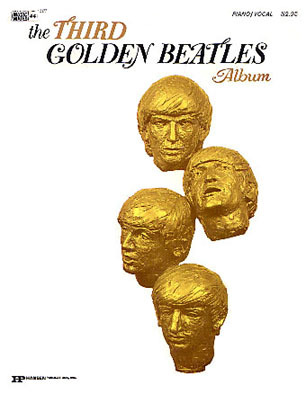 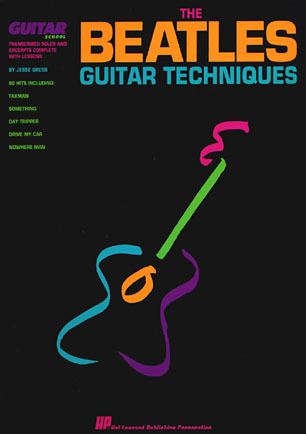 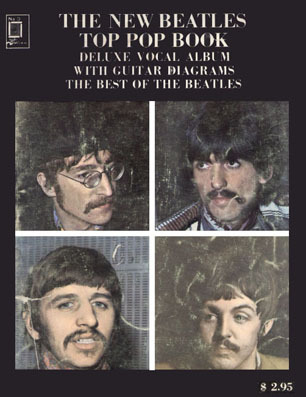 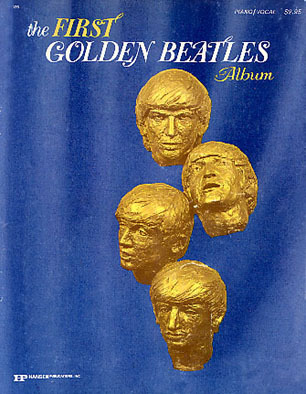 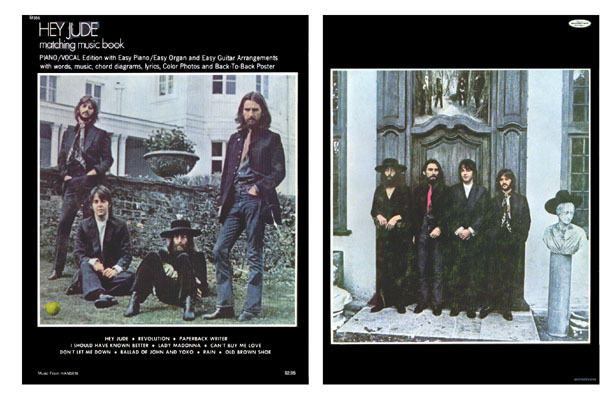 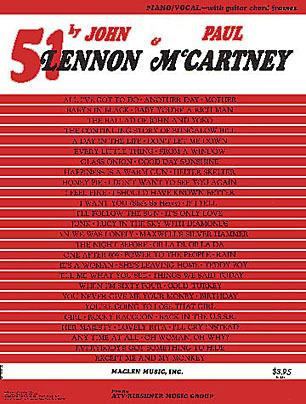 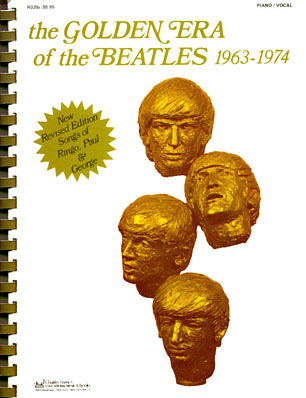 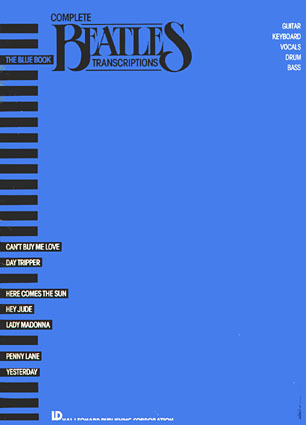 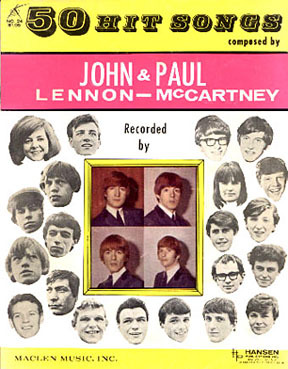 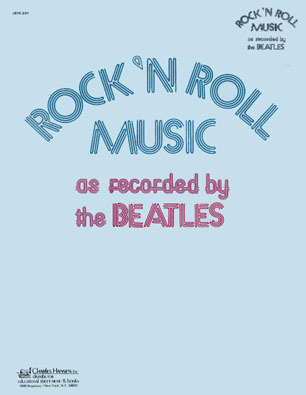 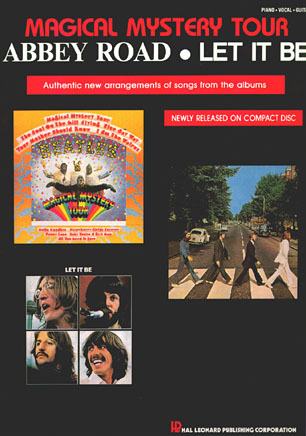 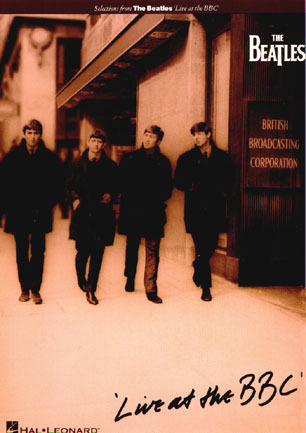 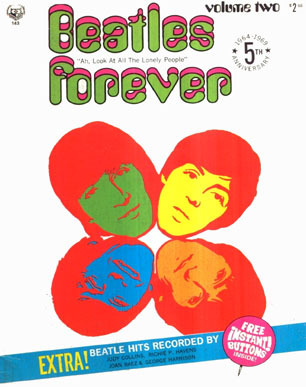 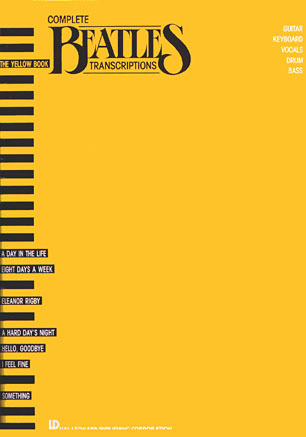 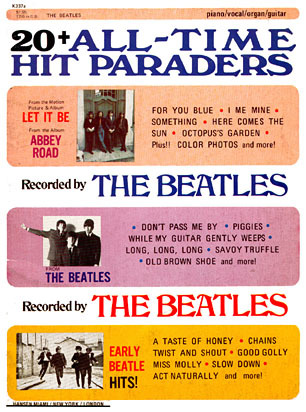 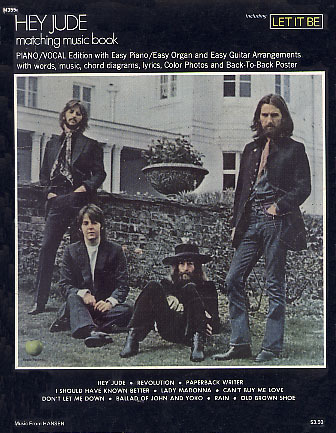 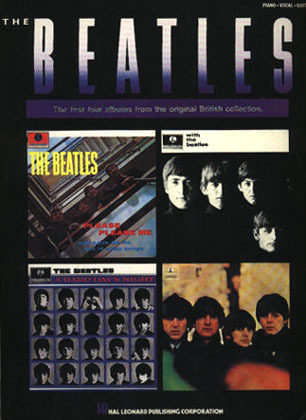 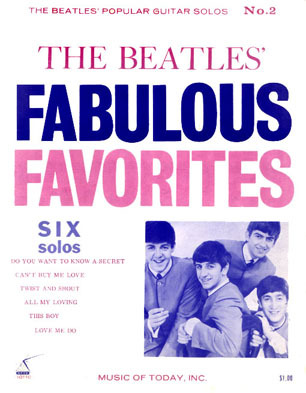 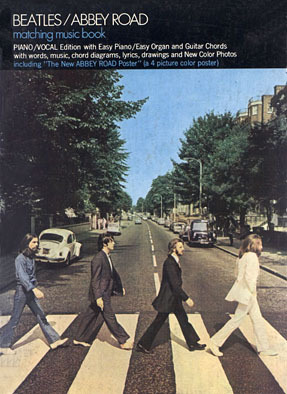 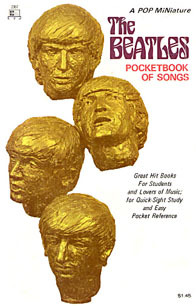 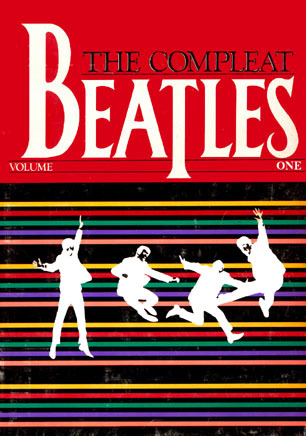 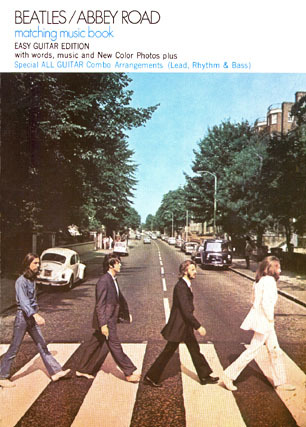 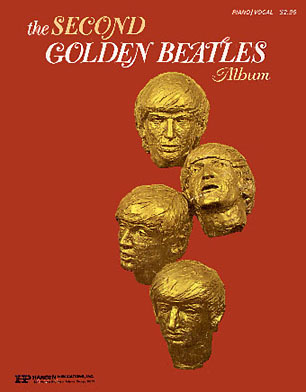 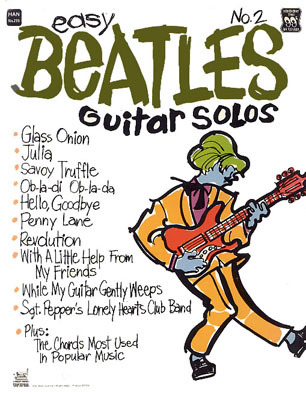 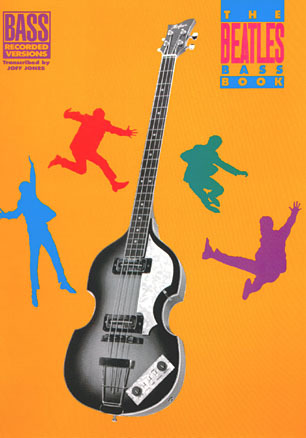 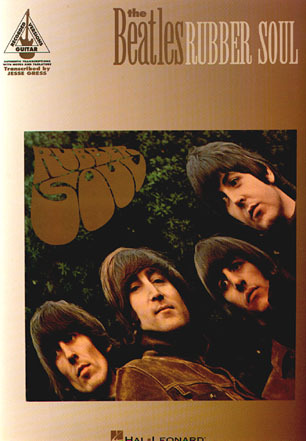 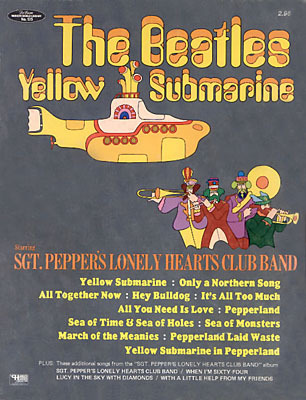 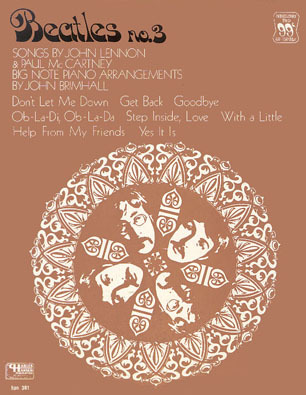 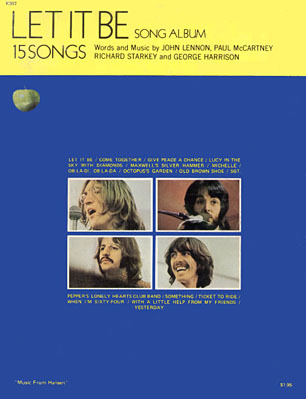 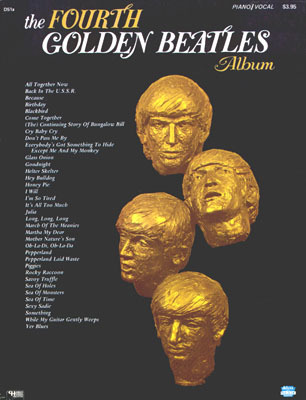 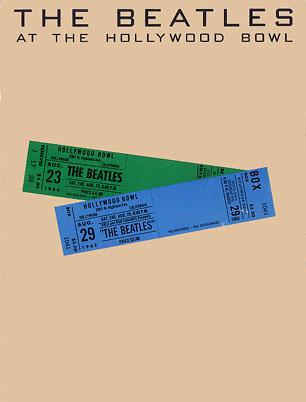 For most of the Beatles albums released, a companion song book was also produced. 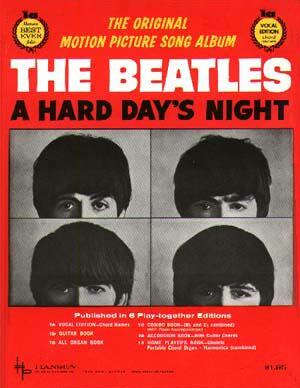 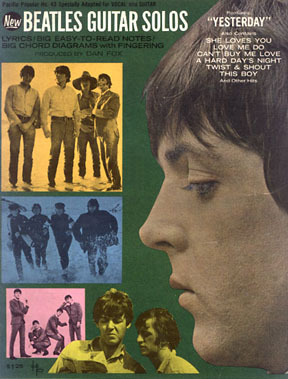 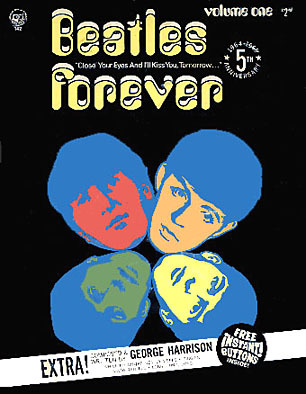 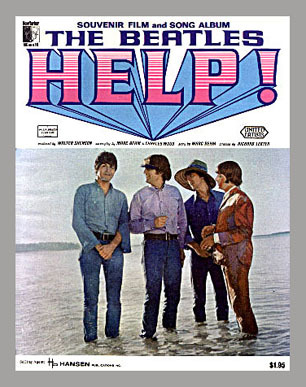 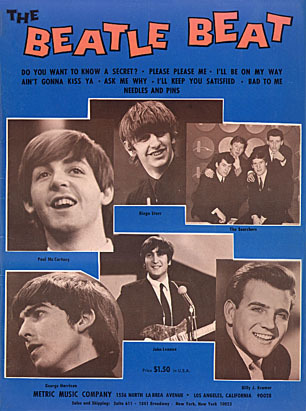 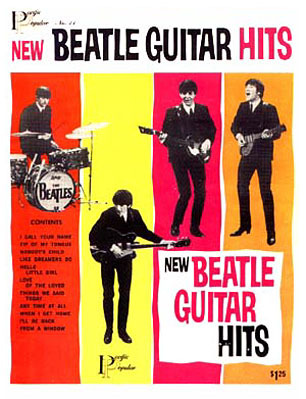 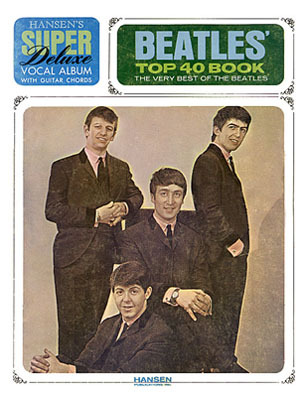 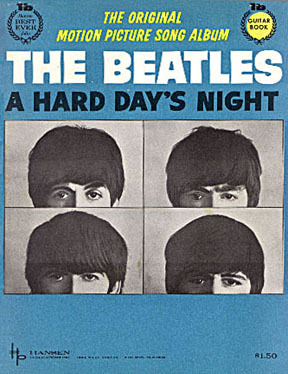 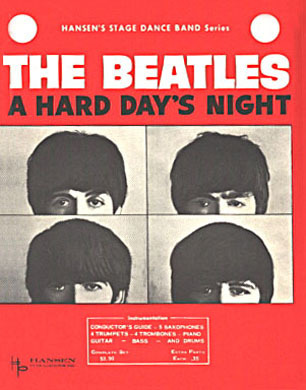 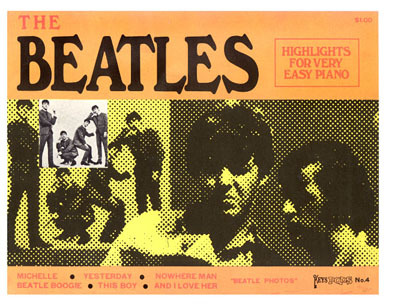 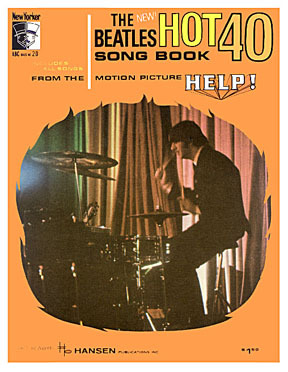 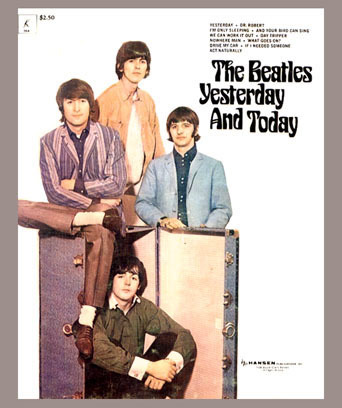 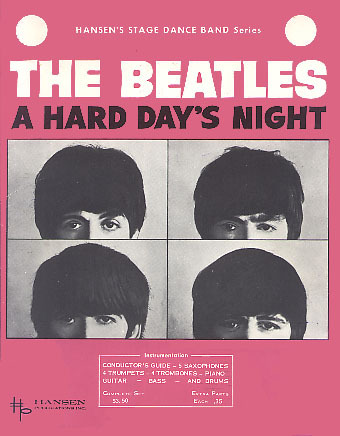 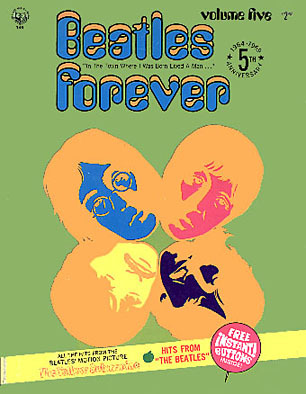 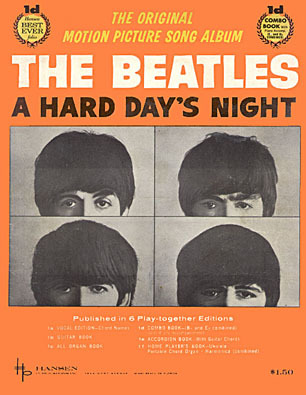 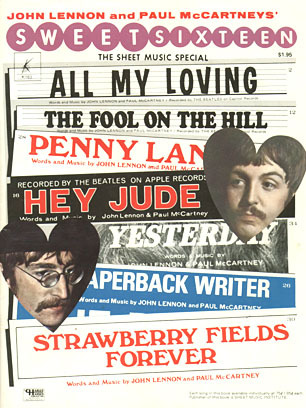 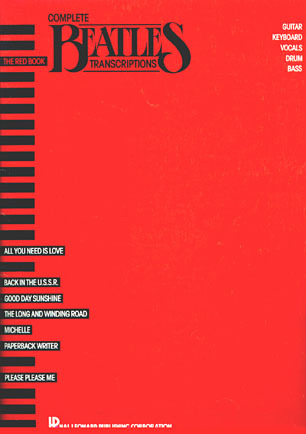 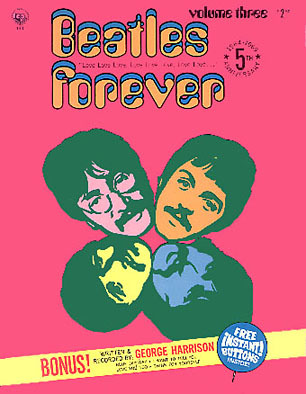 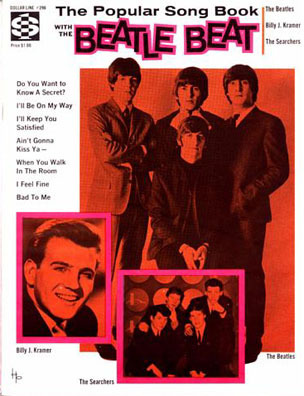 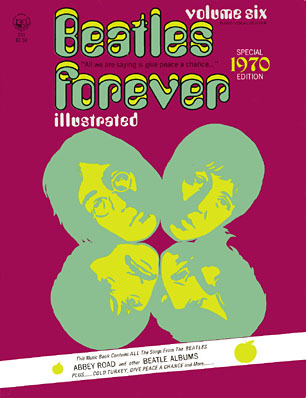 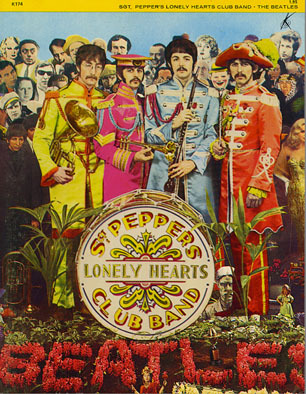 Hansen Publishing was the official publisher of Beatles sheet music and song books. 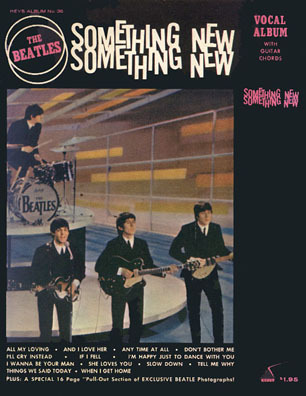 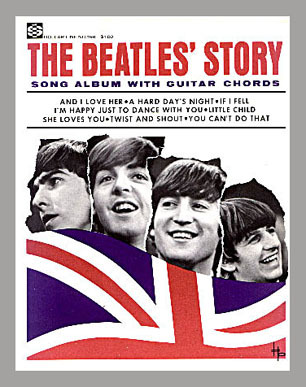 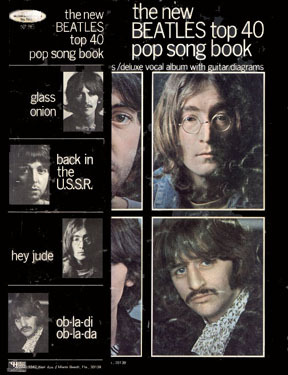 These song books contained sheet music notation for the songs on the album, as well as lots of pictures of the Beatles from the time. 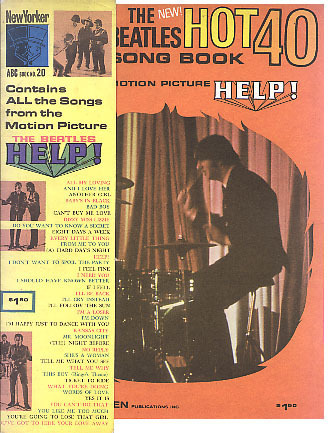 Often filler material from any and all sources was used - for example, some song books of the mid-1965 Help! 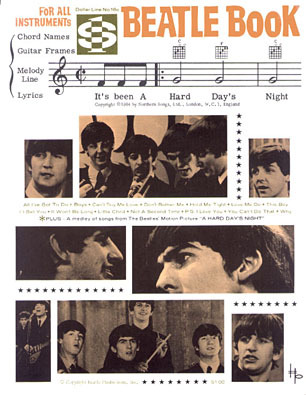 era used photos from A Hard Day's Night. 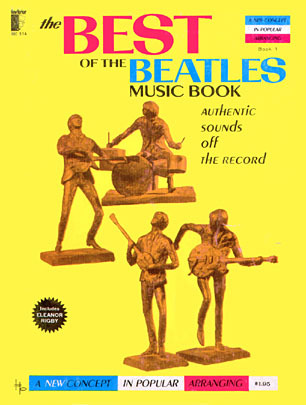 These books were all issued in an 8-1/2"x 11" format and range from 16 pages to over 100. 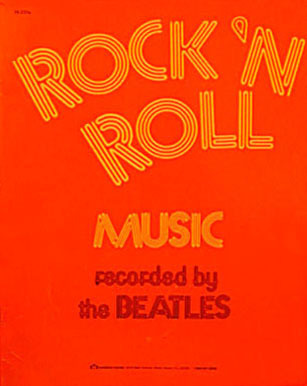 Along with album songbooks, many other music books were produced. 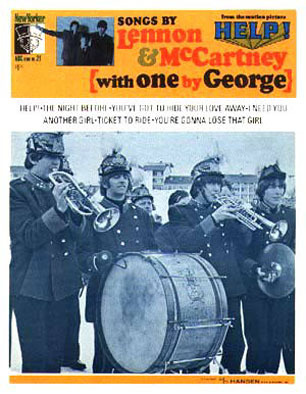 Some had alternative arrangements such as Choral, accordion, trumpet and other instruments. 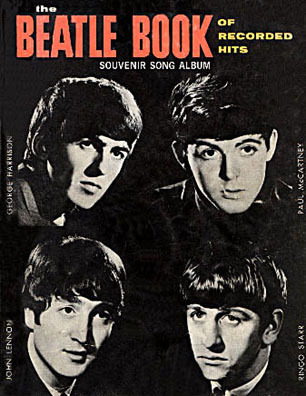 Below is a list of all known songbooks from collector sources as well as from the advertisements on the back of some of the books. 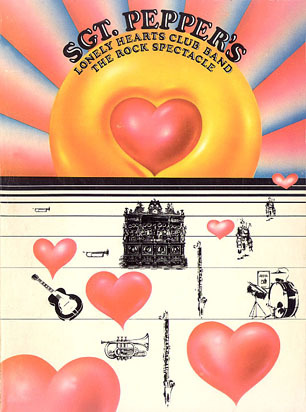 Charles Hansen Publishing released the songbooks under three different nameplates: Charles Hansen Publications, Keys, and Sheet Music Institute/Top of The Forties. 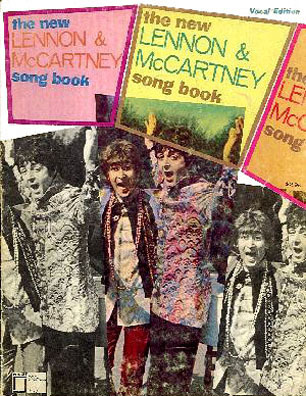 Songbooks printed between March of 1964 and August 1967 have the Keys logo, some songbooks printed between October 1965 and May 1970 have the Charles Hansen Publishing wordmark or logo, and some songbooks printed between October 1967 and September 1969 have the Sheet Music Institute/Top of The Forties logo. 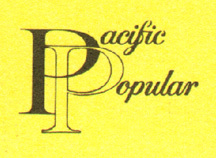 Some early books use a Pacific Popular nameplate and some late-sixties books say 'Elite', but no further information is known at this time. 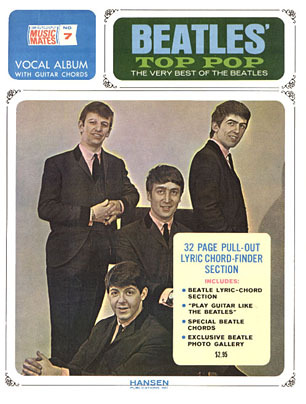 All original Hansen songbooks have a print and date code printed on the outside back cover of the book. 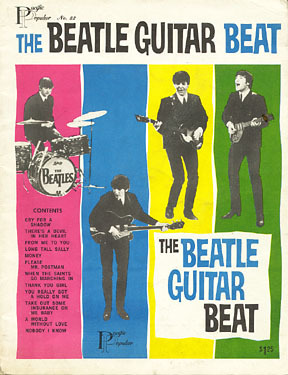 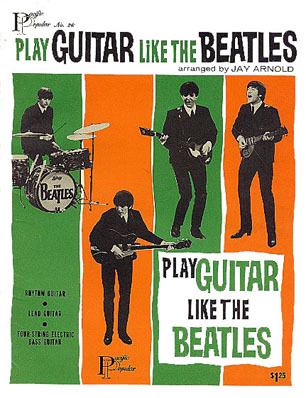 From 1964 to late 1966 the print and date code appeared on the back in a format the same as the sheet music. 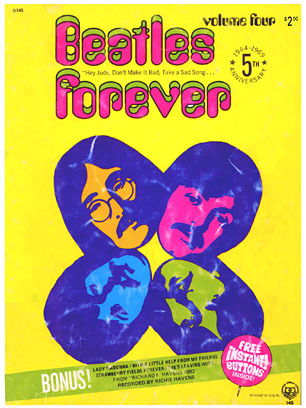 F3M indicated a print run of 3,000 (3M means 3,000 to a printing company). 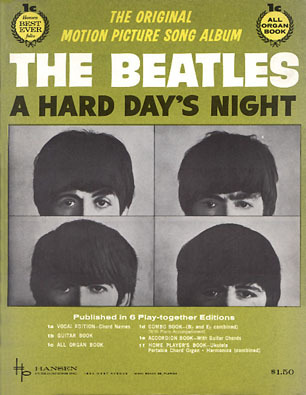 After 1966, the print and date codes as well as a stock number were printed on the back page with the date first, following by a letter code (meaning not determined at this time) and sequential stock number. 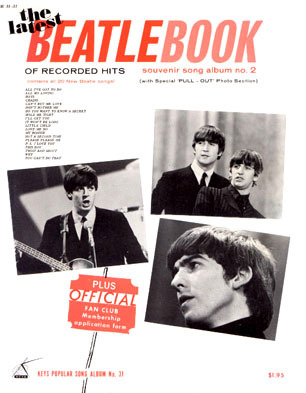 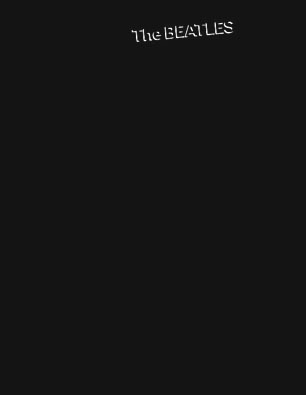 An original songbook would have a date code that is close to the original release date of the album or songbook. 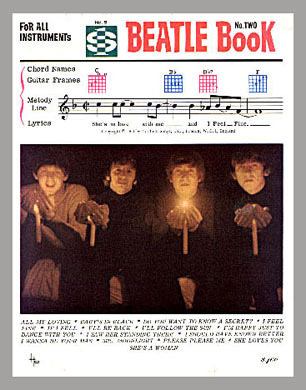 Songbooks often had photo sections which were often pulled out and no doubt taped to walls or ceilings. 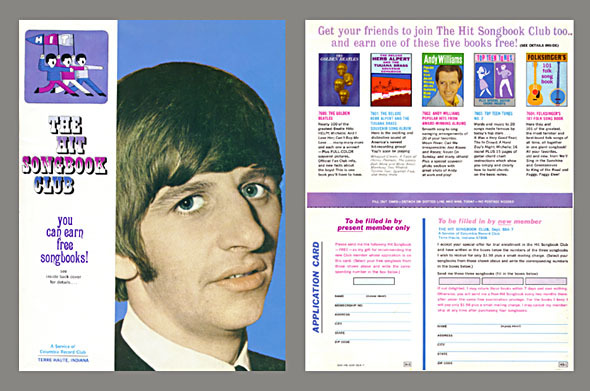 Early books also had the Beatles fan club application form. 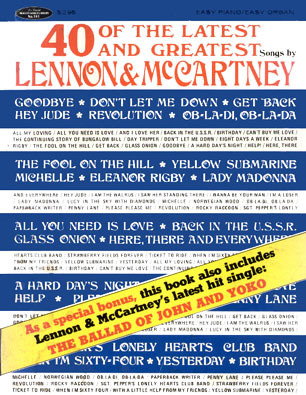 Some books also have outer wraps and these are quite highly sought-after, both because it usually means a well-kept book, especially the back page which was often fully covered, but also because the information on the wrap is unique to that book. 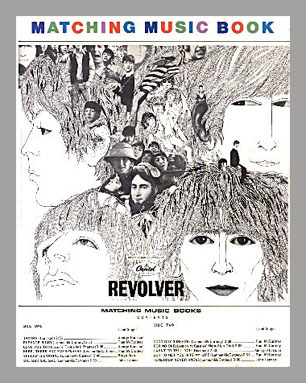 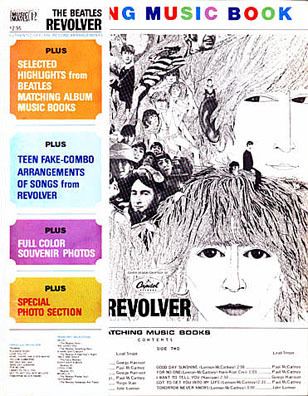 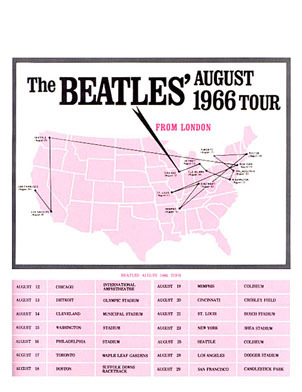 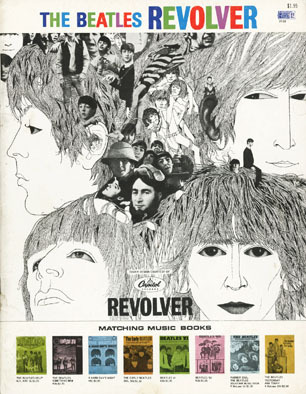 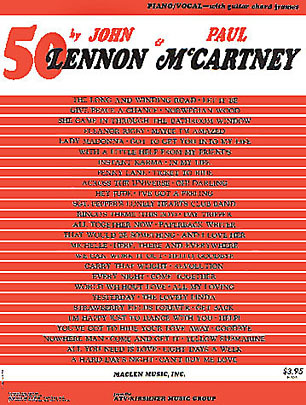 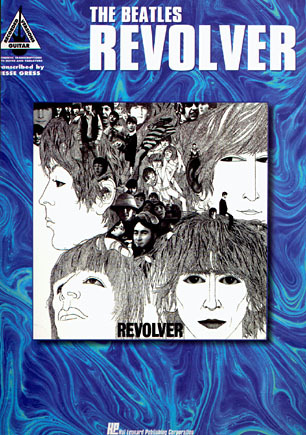 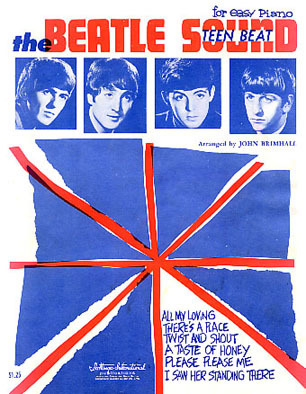 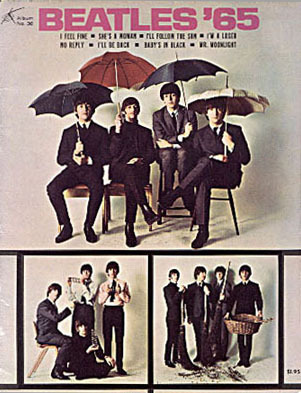 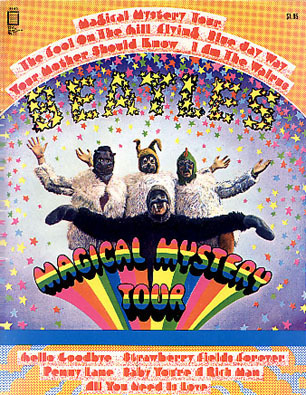 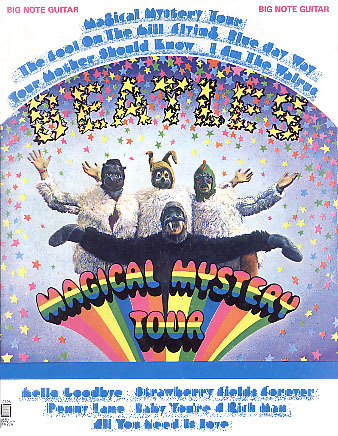 Some examples of wrap-around covers are the Revolver songbook, one version which has a 1966 USA Tour map and listing on the back of the wrap-around cover, and another from the Columbia Record Club featuring a 12-page wrap-around cover with pin-ups and fan club information. 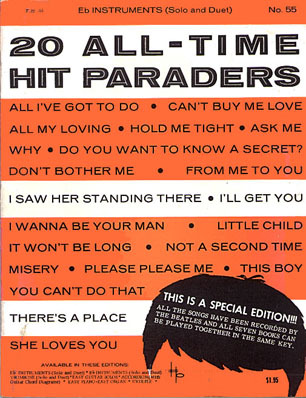 The original Sgt. 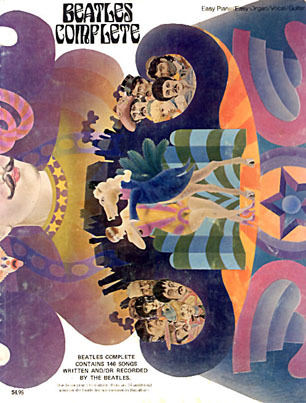 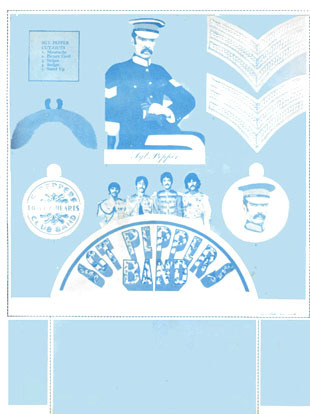 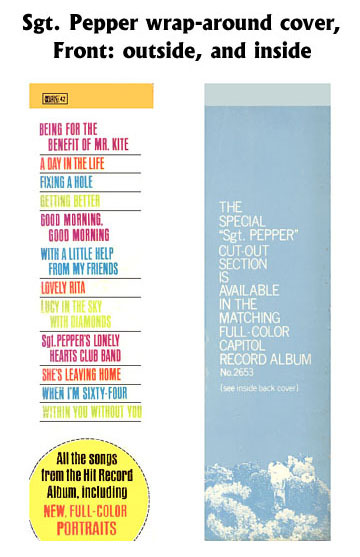 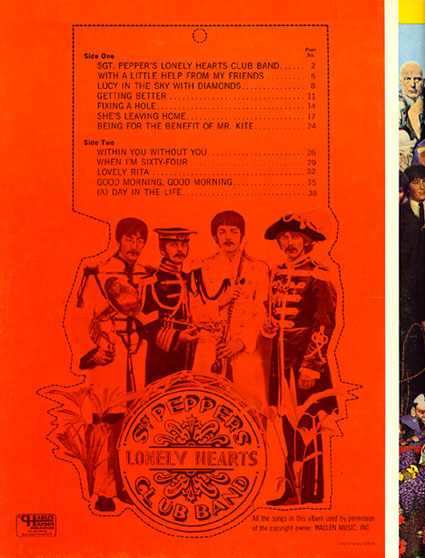 Pepper songbook has the Pepper cut-outs on the inside back of the wrap-around, while the 1970 reissue has them on the back. 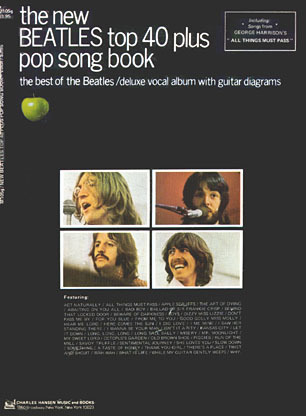 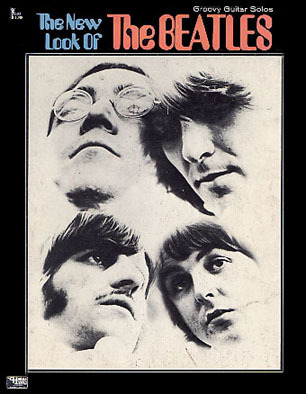 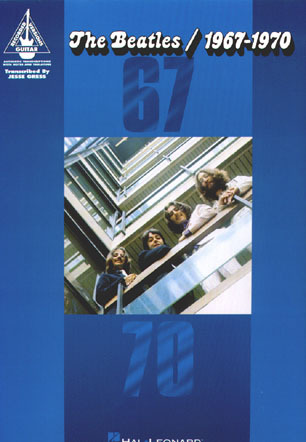 The white album songbooks came with a separate poster that had all four Beatle pictures on one side and the lyrics to the songs on the other, with the album poster pictures printed on the first inside pages of the book itself. 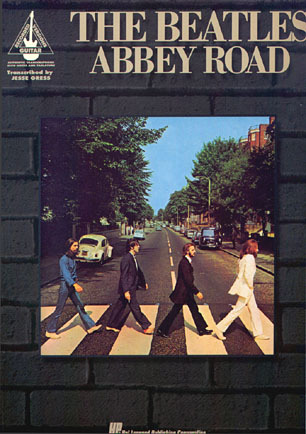 One highly sought-after prize is the poster that came with the Abbey Road songbook. 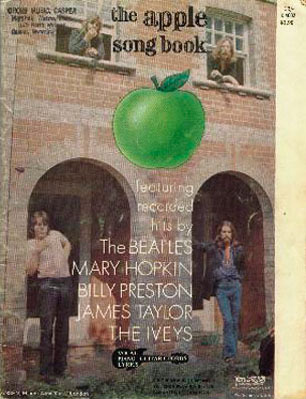 With the poster still attached to the inside front cover and intact, this songbook almost triples in value. 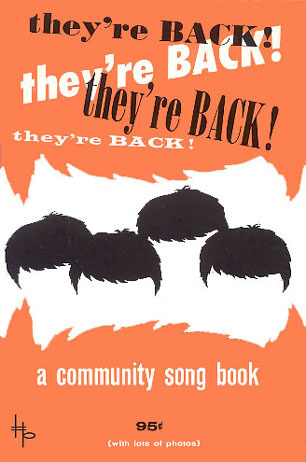 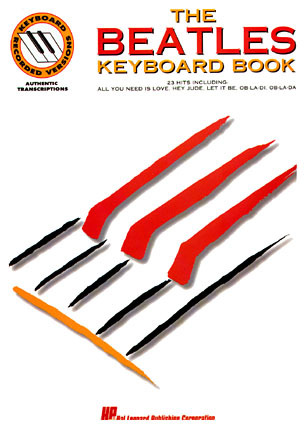 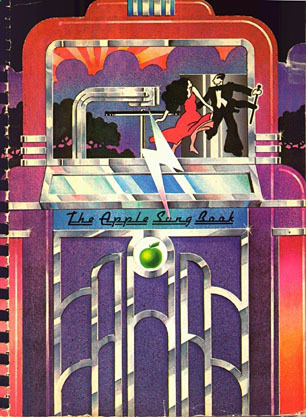 Original songbooks would have a date close to the original release of the book. 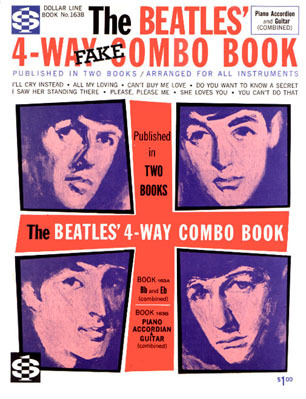 Some books were reprinted a month or two later and are still considered original. 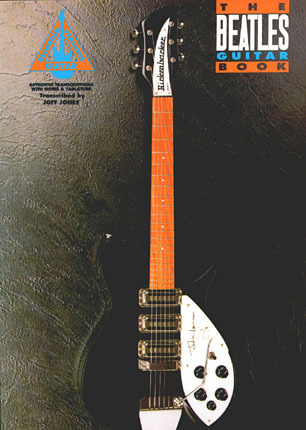 To the best of our knowledge, none of the original Hansen songbooks were ever reprinted in their original format. 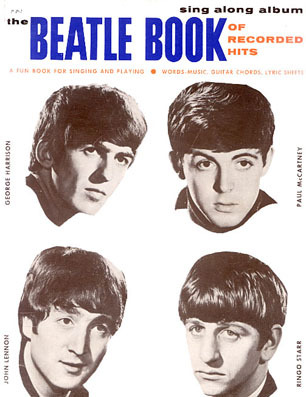 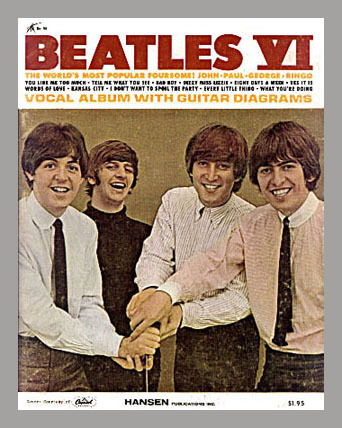 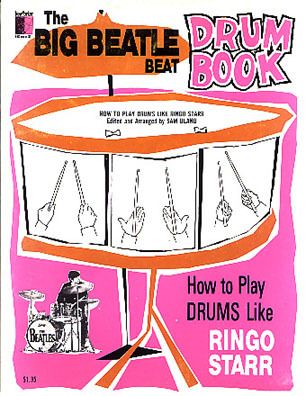 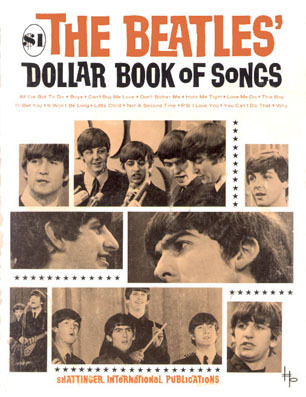 There are a number of songbooks released in the 70s by Warner Brothers, but most have few or no pictures of the Beatles and not as collectible as original 60s books. 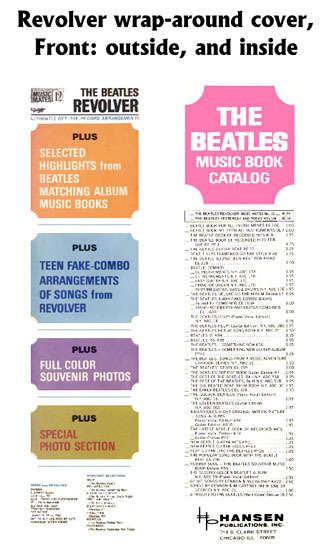 These books are in a larger 9"x12" format and have no date or print code printed on the back page. 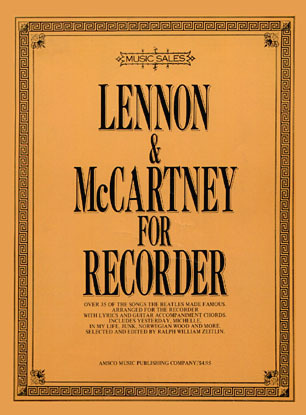 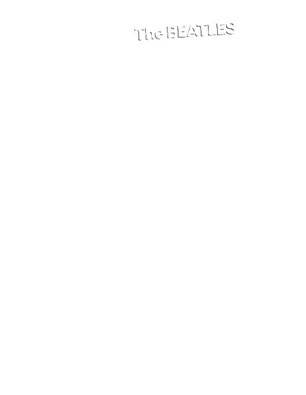 Hal Leonard has issued album and specialty songbooks since the early 80s and continues to distribute a wide range of songbooks, all of which are worth only the published price. 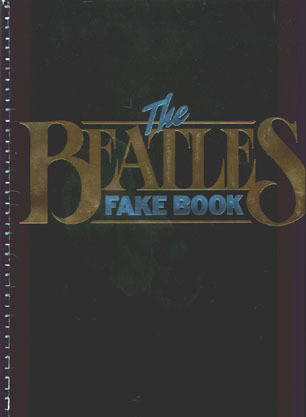 These books are in a larger 9"x12" format and have no date or print code printed on the back page. 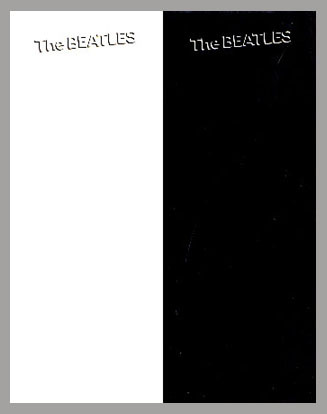 ©1996-2010 Mitch McGeary. 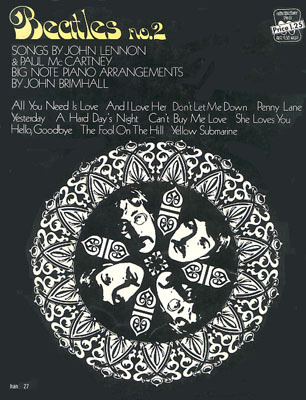 Title graphic by Robert York Additional scans and information provided by Perry Cox, George Garcia, Robert York and others. 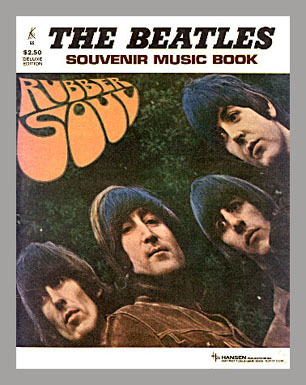 Beatles USA sheet music Solo USA sheet music & books Beatles Japan Beatles U.K.